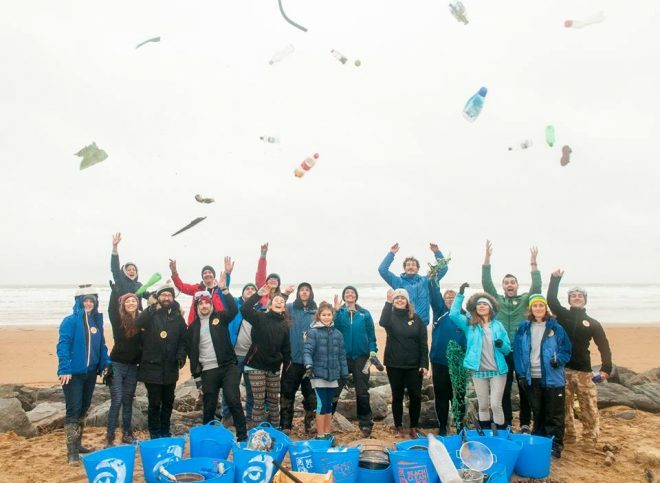 We challenge you to give up avoidable plastics for a month and raise money to help tackle marine plastic pollution across the UK. Any sort of avoidable plastic is a no no – whether you choose to refuse it completely of find an alternative – its upto you! Remember, you don’t have to go it alone. Why not sign up as a team with family, friends or even colleagues to ensure you stay on track! Why are we asking you to give up avoidable plastics? They are convenient at the time, but they last a lifetime with every bit of plastic ever made still in existence. First of all, pop Katie over an email introducing yourself. Is this a starting point to a new plastic free lifestyle, are you targeting certain items or would you like to go completely plastic free? As a starting point, we have put together the top 9 avoidable plastic offenders we find on beach cleans all across the UK. Preparation is key! Think about what plastic you use in every day life and how these can be substituted or avoided. Stock up on tupperware and plastic-free toiletries. We will be on hand throughout your plastic-free journey to support you with fundraising and ideas. We caught up with fundraiser Thomas to find out how he is getting on. The first supermarket shop was quite disheartening, plastic is everywhere and a lot of the time it seems for no real reason. However, after the initial shock, I have come to realise that plastic free is all about planning, and its super achievable. I now bring my paper bags with me everywhere to get all my loose veg and baked goods, and have managed to replace most my plastic-packaged essentials for home made alternatives.Local farmers markets are a god send, and a great way to support local industry in the process of getting some lovely plastic-free products, while my water bottle and keep cup never leave my bag – absolute essentials! My final tip would be to give up your normal shampoo, conditioner and deodorant for no-packaging alternatives. The bars and blocks I got at the start of August (all from Lush) have been amazing, and have lasted so much longer than I thought. Plastic-Are toothpaste is yet to be found, but I know Michael managed to make some of his own. I wasn’t brave enough so caved for my standard Sensodyne. Thing I’ve missed the most: Kinder Bueno! What is Plastic Free Fundraising? Plastic Free Fundraising is a national challenge to give up avoidable plastics. The money you raise will help fund our work as we continue to tackle marine plastic pollution around the UK. When you sign up, we will send you out your own fundraising guide to get you started on your journey. A good starting point is to remove the top 9 offenders we find on beach cleans which include plastic bottles and condiment sachets. I have already given up a lot of avoidable plastic. Can I still take part? Of course! The great thing about Plastic Free Fundraising is that this challenge can be tailored to your own lifestyle which will make you think about the avoidable plastics you use every day. Why not make a list of the next avoidable plastic items you’d like to give up. Don’t forget to share your journey with us. Can I enter with a team? Yes, of course; we love a good team challenge! The more the merrier! You can set up a team via Just Giving and you can keep track on how each other are doing. If you get your family, friends or workplace involved then why not set up forfeits or challenges for anyone seen to be using avoidable plastics. What is JustGiving? How do I use it? Where can I get help with fundraising? If you need any help with fundraising, then please get in touch with katie@sas.org.uk. She will be on hand to answer any questions or queries you may have. What's the deadline for paying money in? If you have chosen to use Just Giving or a Facebook Fundraiser, then any money donated to your page comes straight to SAS! Gift Aid adds 25p to every £1 donated at no extra cost to you or the donor. It’s a government scheme that enables charities to claim this ‘extra money’ from the tax that people have already paid. What are you waiting for… get started on your plastic-free journey today! !